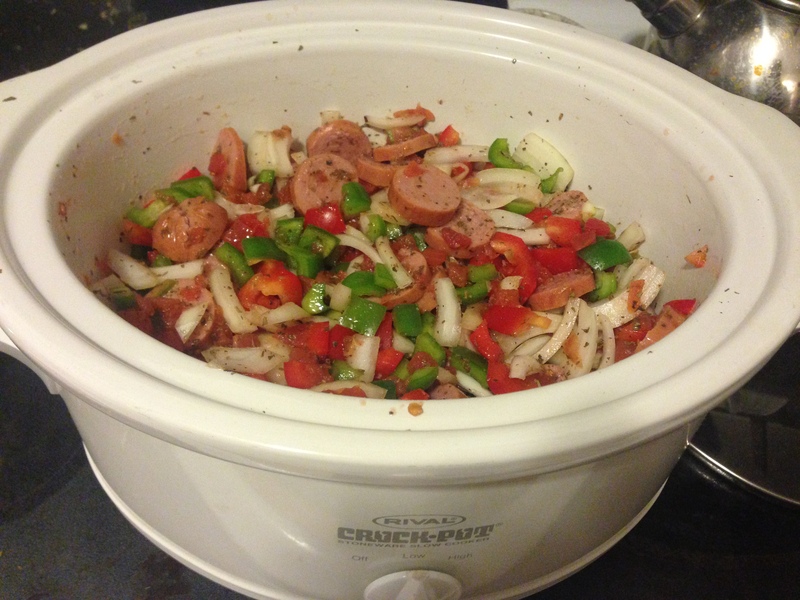 This one of those crock pot recipes where you can just throw all the ingredients together in a gallon-size freezer bag to make some quick and convenient dinners for those days when there’s not a lot of time to spend on cooking. All you really do for this recipe is cut things up into small pieces, and you might as well do 3-4 batches if you’re going to do one. So for just a few more minutes of slicing and dicing, you’ll get several meals for the effort of making one. That’s a good deal, if you ask me. It may seem like 5 teaspoons is a gratuitous amount of herbs to use for one recipe, but it’s not. To keep the amount of carbs down, we’re using plain diced tomatoes instead of Italian tomatoes, which have added sugar. A few of those teaspoons of herbs are to account for the plain tomatoes, so I promise that 5 teaspoons is not a typo. The directions are simple. 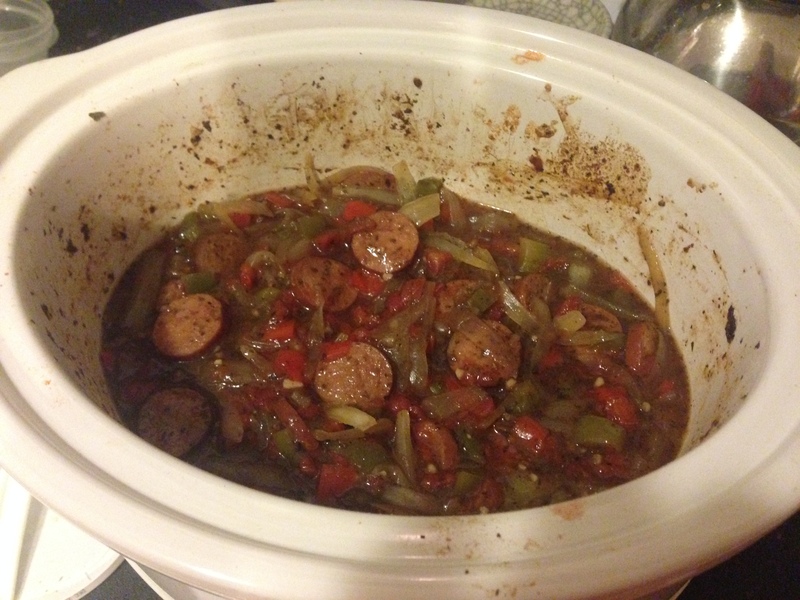 Mix everything together and put it in a crock pot on low for 6-8 hours with the lid on. When it’s done, sift a little xanthan gum into the liquid and stir everything well until the sauce is thickened just enough so that it doesn’t fall straight through your rice and pool at the bottom of the plate. If you’re making this right away, just put everything together in the crock pot and stir until it’s everything evenly distributed. I stir it every few hours while its cooking, but it’s just because I can’t leave well enough alone. If you’re making meals in advance, put everything in a gallon-sized freezer bag and stick it in the freezer. I mark the bag with the name of the recipe as well as the cooking time, so there’s no need to look it up later. Defrost the bag in the refrigerator the night before you plan on using it. If you forget, it’s probably not the end of the world, though you may have to add an extra hour or so onto your cooking time to compensate for starting from frozen. Serve over mock rice, or regular rice for those who don’t need to worry about their carb intake.